CLARKSVILLE, Tenn. (CNS) — Immaculate Conception parishioners Kayla and Matt Boesch had planned to welcome their first baby this fall. Instead, they will be visiting the cemetery plot where they buried their baby’s remains last spring. When Kayla suffered a miscarriage around the 11-week mark of her pregnancy, she and her husband were devastated, but determined to honor the life that existed, however briefly, inside of her. 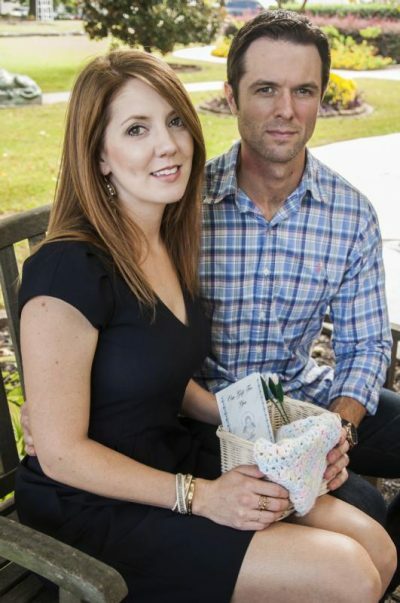 During National Pregnancy and Infant Loss Awareness Month, observed each October, the Boesches shared their story to help break the silence that often surrounds miscarriage. Miscarriage, the loss of a pregnancy during the first 20 weeks of gestation, occurs in about 10 to 20 percent of all known pregnancies, and the vast majority of these are early term miscarriages, occurring before 13 weeks. When the Boesches learned their baby had died in utero, they were initially overwhelmed and weren’t sure how to deal with the practical or emotional aspects of miscarriage. They hope that by opening up, they can help other couples heal. The couple, filled with grief and anxiety, immediately sought solace in their church, and met with Deacon Dominick Azzara at Immaculate Conception in Clarksville. As Catholics, “we believe the life begins at conception,” Kayla said. She and her husband knew they wanted to honor the brief life of their unborn baby in a special way. Deacon Azzara didn’t have many definite answers for them. Ministering to couples who have experienced a miscarriage “is an area that has not been addressed well enough” by the Catholic Church, the deacon said, but there are ways priests, deacons and other church personnel can offer support. When a baby dies in the womb, there are specific prayers and blessings that can be offered for the family. A memorial service, funeral and/or burial can be planned; grief support and counseling should be available, Deacon Azzara said. The U.S. Conference of Catholic Bishops offers some specific prayers and blessings for parents who have experienced a miscarriage, as well as some limited resources on their “For Your Marriage” website — www.foryourmarriage.org — but church guidance on coping with the specifics of miscarriage is limited. The church does not define how a couple should handle their baby’s remains, or whether or not they should have a funeral. It’s largely up to the couple involved, in consultation with their spiritual adviser. Deacon Azzara said more pastoral training on miscarriage in needed. Kayla Boesch would like to see miscarriage covered in marriage preparation and natural family planning classes. “You learn all about your cycle and family planning, but no one tells you what to do with a loss,” she said. The Boesches had to wait and see if Kayla miscarried naturally, or if she would need a “D and C” — a dilation and curettage procedure — to remove what clinicians refer to as “products of conception” from her body. While waiting, they decided they wanted to name their baby and take its remains from the hospital and bury them. They also wanted to have a memorial service to honor their unborn baby, whom they named Francis. But they had to find answers to some uneasy questions. What would they put the baby’s remains in? How would they transport and store them? How do they explain to people what they were doing? They began scouring the internet for resources, and found some sites that walked them through the process, including those most uncomfortable parts, such as how to store and transport the baby’s remains. Before undergoing the D&C procedure, Kayla had to explain repeatedly to hospital personnel that she was planning to take the baby’s remains from the hospital, and had to fill out pages of paperwork to do so. In Tennessee, but not all states, parents have the right to bury the fetal remains from early term miscarriages. If the parents choose not to take the remains and bury them, hospitals must properly dispose of them. The Boesches were not alone in wanting to bury the miscarried remains of their child. “We’ve done an awful lot of those out here lately,” said Deacon Mike Wilkins, director of the Diocese of Nashville’s Calvary Cemetery. 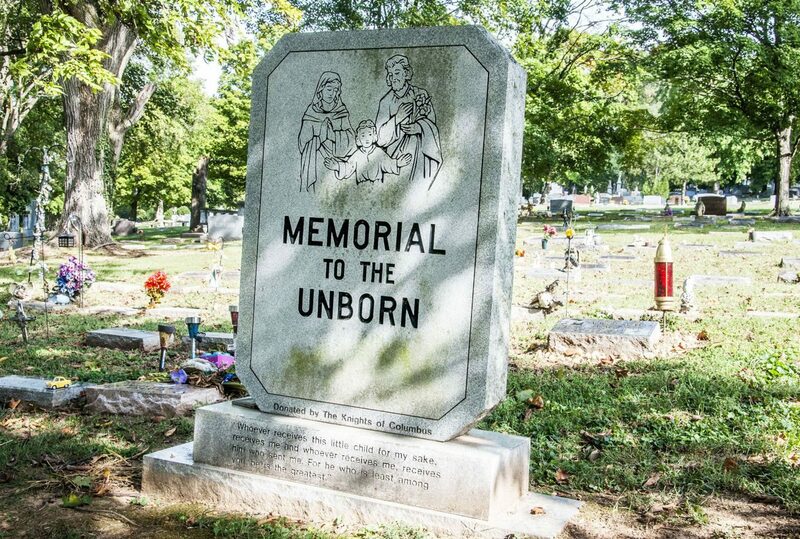 A section of the cemetery, dubbed “The Garden of Angels,” is reserved for the burial of unborn children and infants under age 1. Since 2014, “there has been a dramatic increase in the rate of miscarriage burials,” Deacon Wilkins said. This could be attributed to more awareness of Calvary’s service, or a cultural shift to honor lives lost to miscarriage, he said. “To lose a child is very damaging and having a funeral or memorial and burial can be very cathartic,” Deacon Wilkins said. Echoing Deacon Azzara, he said the church “is still trying to find our way” to best minister to parents who lose a child through miscarriage. Going through the process together has brought them closer, and helped them heal as a couple. “Giving a name and having a memorial service really helped,” Matt said. “It gave us some closure, and was a way to honor Francis,” Kayla added. NEXT: Can U.S. rejection of private prisons lead to similar move by states?